The STAR TREK CONTINUES webseries carries on the original five-year mission. Below, you can find all of our episodes, vignettes, and other content — including behind-the-scenes videos, set walk-throughs, and much more. We are excited to announce our first guest star for Ep4! Adrienne Wilkinson is no stranger to being part of productions that are world wide phenomenon. She played Xena’s daughter! She is Maris Brood in the Star Wars video games! More recently she joined the Star Trek family playing Captain Lexxa Singh! Check out the video of Adrienne and Vic. Yes that IS Vic as a Cardassian. Please welcome Adrienne! More guest announcements are on the horizon!!! This clip is from the unmastered cut of Star Trek: Renegades. Sound mixing, color correction, and original score are still in post production. Starring: Adrienne Wilkinson (Lexxa Singh), Walter Koenig (Admiral Chekov), Tim Russ (Tuvok), Sean Young (Dr. Lucien), Gary Graham (Ragnar), Richard Herd (Admiral Paris), Manu Intiraymi (Icheb), Courtney Peldon (Shree), Larissa Gomes (T’Leah), Bruce A. Young (Borrada), Edward Furlong (Fixer), Chasty Ballesteros (Ronara), Corin Nemec (Capt. Alvarez) Tarah Paige (Cmdr. Petrona), Kevin Fry (Jaro Ruk), Grant Imahara (Lt. Masaru), Rico E. Anderson (Boras), Vic Mignogna (Garis), Herbert Jefferson Jr. (Admiral Satterlee), Lucky McQueede (Prak, The Breen) and many more!. Renegades, as the name suggests, will be bold, edgy and a little dark. Renegades will feature a combination of familiar Star Trek faces, plus a collection of hot, new rising actors. Renegades will be a departure from previous Treks — delving into the dark side of the human psyche, pushing our heroes to their limits, forcing them to carry out actions that they never would have as Starfleet officers. The rules have changed, and they realize they might be the last hope to save the Federation. 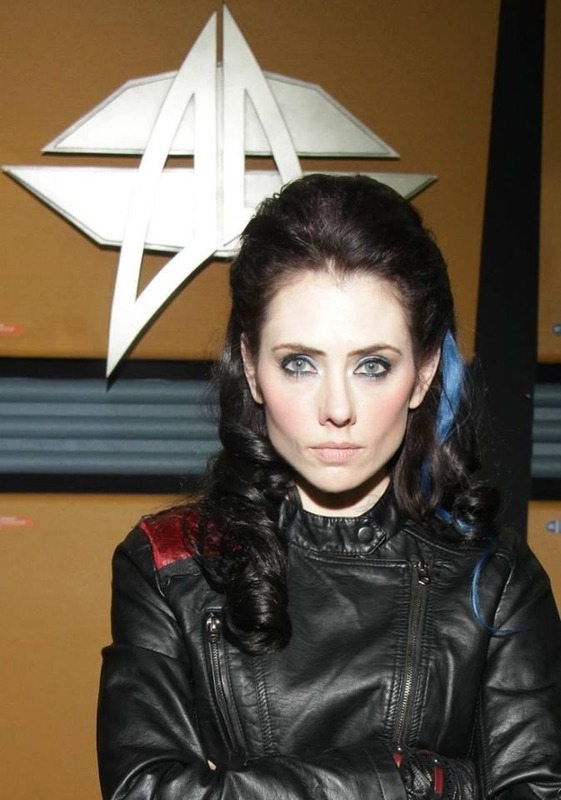 Star Trek: Renegades will be action oriented, filled with suspense and espionage; all while exploring new worlds, encountering both familiar and new alien species, and boldly going where no Trek has gone before. Please visit http://startrekrenegades.com for details!